Something has happened . . .
Jewell, Kurt, Doug, and Fred have been on many. I watch what is happening and am floored by the message each of them shares. Jewell is the passionate warrior. Dr. Kurt the organizer and scholar probes and challenges at such a high level that it helps organize and verbalize my own ideas. Doug quietly leads with his prayers and songs but can quickly tap into the same voice as Jewell. Fred is everywhere capturing the stories with his video and I-Pad and when asked will step up and share his experiences. Different voices, different experiences, but each with the common goal of bringing people together. And it’s not just these few voices. I’ve seen the intertribe and interfaith communities, NGO’s and people everywhere working together to achieve common goals. Something has happened and I believe that a tipping point is near. 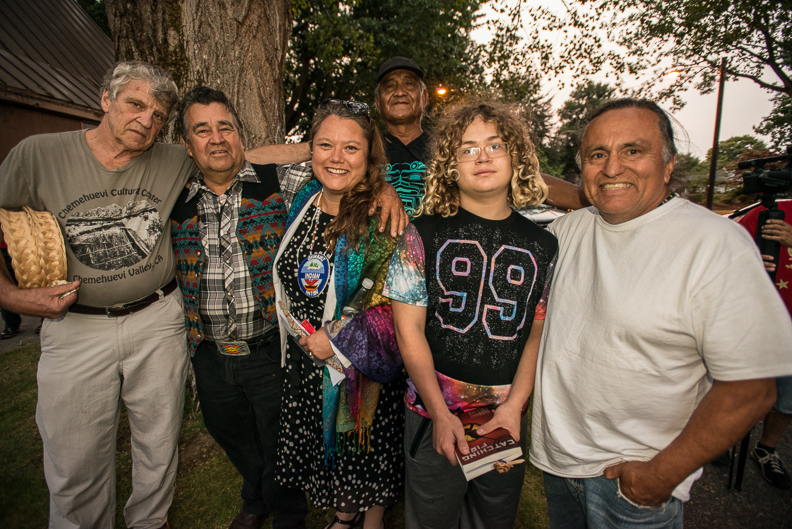 The Lummi Totem Pole Journey visits St. Philip Neri Catholic Church in Portland, OR on the voyage to bring this years totem to the Northern Cheyenne, where a giant new coal mine has been proposed.